When most people think of yoga, they think of incredibly bendy people getting into some pretty crazy poses. The reality is that asanas, or yoga poses, are only one of eight limbs of yoga, and asana practice does not necessarily include handstands or putting your leg behind your head. Sometimes we need to practice more calming poses to help us cope with our increasingly hectic lives, which is why yin yoga is so great and why you should try yin yoga. Yin yoga is a style of yoga that’s more restorative. In the yin-yang dichotomy, yin represents things that are slower and less aggressive. Often poses are held for several minutes, allowing the connective tissue to begin to release and creating a greater opening in the body. Props are used to support various parts of the body to make the poses easier to relax into. The slow nature of yin yoga can make it very difficult for yogis who struggle with turning on their thoughts and finding meditation during their practices. But, often, yin yoga is just what those people need the most. 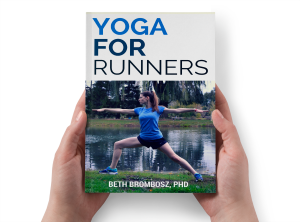 Yin yoga is also an amazing compliment to more yang activities like running. Why You Should Try Yin Yoga? A lot of us have a lot on our plates. Our brains are racing around, thinking of everything that we need to do for ourselves and for others. Sometimes a stimulating, more yang yoga practice is what we need to calm our minds down and to find moving meditation in yoga. But, sometimes a vigorous practice is too stimulating and it doesn’t allow the mind to slow down. That’s where yin yoga comes in. Disclaimer: always consult with your medical professional before beginning any new physical routine. If you do choose to practice yin yoga, be very careful that you are supporting your joints properly and not straining any muscles as you sit for long periods of time in poses. To begin a yin yoga practice, it’s safer to begin with a teacher who is experience in yin yoga to ensure that you don’t accidentally hurt yourself. Yin yoga is the perfect compliment to a busy life because it forces you to really slow down. It can be mentally challenging for yogis who have trouble shutting their minds off, but practicing yoga asanas is all about finding a moving meditation and slowing down the thoughts moving through your consciousness. Sometimes a slow yin class is exactly what we need to move away from the crazy pace of modern life and to find stillness. Yin yoga is also perfect for new yogis and for yogis who can’t physically complete a more vigorous practice because the vast majority of yin yoga poses are supported poses You can use lots of props to make the pose comfortable, making it easier to really relax into the pose. If you want to learn more about yin yoga, there are two fantastic books that are considered must-reads about yin yoga: The Complete Guide to Yin Yoga: The Philosophy and Practice of Yin Yoga by Bernie Clark and Yin Yoga: Principles and Practice by Paul Grilley. Both are excellent reads if you’re interested in learning more about yin yoga. This is great, I started doing yoga a year and a half ago to help with injuries, at first I hated how slow it was, but now… the slower the better! I’m right there with ya! I do like to throw in a more vigorous practice to keep my strength up, but I find myself craving slower yoga more and more. Hmm, that sounds like a great idea for a video to add to the YouTube channel I plan to start (as soon as I can find time to make videos…). Thanks, Wendy! I never really knew the differences between types of yoga so this is really interesting. I am probably that person who needs yin yoga yet can’t stand it. I find I get bored when I’m just holding poses for too long but that obviously means I’m not “getting it”. It’s so hard to learn how to turn off your thoughts and be okay with focusing on your breath and the sensations in your body for long periods of time! It’s probably still the hardest thing for me in yoga. I find that the more you practice, the easier it becomes, though! I’ve never done yin yoga, but it sounds like a great complement to exercise throughout the week! I like vinyasa yoga, and it’s usually my go-to. It is! Love yin yoga as a balance to vinyasa yoga. I practice both, and although my body probably gets more out of the vinyasa practice, my mind seems to get a lot more from the yin practice. I have done yin yoga in a sense… but not officially. Thank you for sharing more about it, it definitely is one that I don’t know as much about! I took some yin yoga classes last year at CorePower when I had the month pass and I thought it was very challenging. Especially trying to keep my mind focused on the practice and not on the things I needed to do when I got home. Plus it can be hard to settle in with the slightly uncomfortable feeling of deep stretching! Flows tend to keep my mind busy by focusing on all the changes! But I do think yin yoga has a lot of benefits! 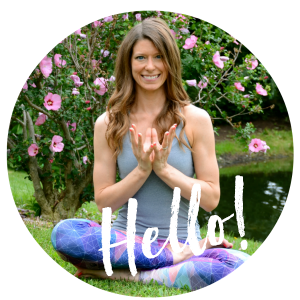 Yes, the mental challenge is huge with yin yoga! I find it easier to shut my mind off in vinyasa classes, too, which is why I’ve been trying to do more yin yoga. Sometimes what’s hardest is just what you need!